The router is the part of the home network that all other devices go through to connect to the internet. Typically it is connected to either a cable modem or DSL modem connected to your internet service provider. In most homes today the routers provide wired and wireless connectivity. So any device that has to use that router to get to the internet will be subject to the rules of that router. Therefore, it makes sense that the router would be the best place to start parental control filtering. In the layered approach that I recommend, the router is the first layer. Adding this layer of protection to your router is relatively easy and free. Router filtering is the number one way people in tech are going to enforce filtering on their home networks. Therefore, if you have AT&T Uverse or other proprietary setup that does not allow you control over the DNS settings on the router in your home my advice is very simple — get something else! Filtering based on DNS – Domain Name Service tells your router whether a certain website is allowed or not. There are two companies that are leaders in providing filtering through their DNS servers. They are Clean Browsing and OpenDNS. By assigning your router to use one of their DNS servers, you protect the whole network in your home. Both of these companies profit from selling their services to large businesses and school systems but they offer it free for simple networks like in a home. They each have a very reasonable pay versions which provide additional features such as additional filtering categories and reporting. 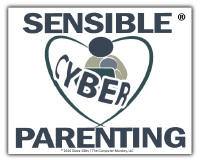 The founders of Clean Browsing appreciated what OpenDNS was doing for families but felt like there were a few things missing so they developed a product that has a few more options for family filtering. 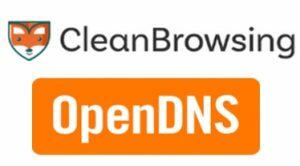 The paid version for OpenDNS is $19.95 per year, while the paid version of Clean Browsing is $5 per month. Not only can DNS filtering be used on your router, but it is very simple to set up on an individual device to enforce safe routing even when the device is away from your network. We currently have AT&T U-verse. After l learned from SCP that U-verse is not good for OpenDNS, I am trying to switch to another Internet Service Provider. But when you sign up an internet service provider for home, the ISP usually provide the router for you. Right? In our area, we have Comcast, Verizon, etc. Do you know the router from which internet service provider will be good for OpenDNS? It is getting more common for service providers to use modem/router combo units, but with many providers it is still possible for you to use your own router that you purchase and use with their modem. In fact, with some cable ISP’s you can even use a modem that you purchase as long as it meets their specifications.